This year, we’ve been holding a new series of events in Toronto for our Network Connect companies. These “knowledge exchanges” bring our community of startups, founders, mentors and partners together for curated conversations on our startups’ most pressing needs. At our first gatherings, on February 28 at the Centre for Social Innovation and last month on May 8 at Startwell, our startups tackled B2B sales strategies. These founders understand the consumer market place and how to reach their target users. Yet enterprise sales can be daunting, especially for founders who haven’t worked inside large companies before. Bureaucracy, procurement hurdles, buying cycles, adoption – these can be alien concepts to founders who make quick decisions on nimble teams. 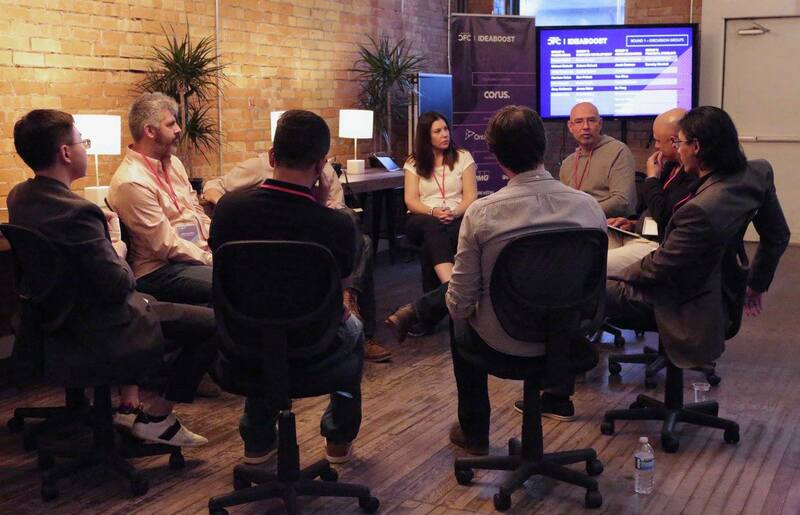 We wanted to share three insights our startups gleaned from these recent conversations. 1. If someone can’t sign a cheque, find the ones who will. For many startups, large enterprises can operate with long decision cycles. Promising conversations can last months but end nowhere. It can feel like progress to get a meeting with anyone at a target company. Once in the door, try to quickly understand two things: not only who feels the pain your product solves, but also who cuts cheques the fastest. Both are key to closing the deal. Spend time convincing the right people you’ll solve their problem. If you’re not talking to them, you’re wasting your time. 2. There’s a reason sales is a profession. Once you’re talking to the right person, set an honest metric for the likelihood of conversion. Great conversations that don’t close aren’t helpful. Convincing someone with no budget won’t get you the paid pilot to prove your market fit. Not only are sales professionals relentless, but they are brutally honest about the likelihood of conversion. That’s how they know where to put their energy. Whether you manage your pipeline with a tool like Pipedrive or an old-fashioned spreadsheet, get professional. Because until you hire a full-time sales team, you’re it. You’re the sales professional. 3. Buyers and users aren’t always the same person. Enterprise sales has become a critical component of our IDEABOOST Accelerator programming. Our Network Connect and IDEABOOST Accelerator companies are racing to prove product/market fit on investment timelines, not corporate ones. So these insights aren’t just nice-to-haves. They’re instrumental to survival and success. IDEABOOST mentors and startup founders at our Network Connect Knowledge Exchange.